Our Kali necklace is believed to inspire creative visualization and confidence. Featuring only Picture Stone, these beautiful beads are characterized by incredible scenes formed by nature, and believed to hold tales from the past. I love this necklace so much. It's beautiful and extremely helpful to remain mindful. Thank you so much for your kind words Joanne! It means the world to us :) So happy to hear that you are happy with your necklace! 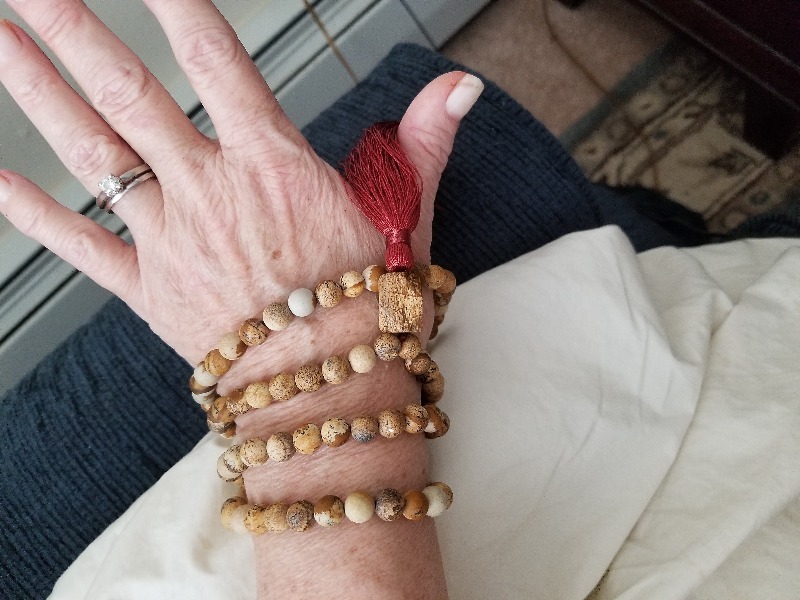 This mala is absolutely gorgeous. Each bead is a beautiful piece of art. All of its colors, finishes, and shapes compliment each other perfectly.